Ilir Sela's friends and family learned to get used to his ring tone. When it went off, they knew they had to quiet down and turn off the music so Sela could take care of business. That business was turning an online pizza order into a real-life delivery to someone's home. Sela was doing it manually: He'd get an email with an order and call it in himself. "I remember going to switch from Verizon to AT&T, because AT&T allowed you to browse the internet and take phone calls at the same time," Sela told Business Insider. "At the time, I was getting orders once every few hours. I didn’t have a staff to transmit the order, I didn’t even have the technology to transmit the order." That was in 2011, and even a year ago, the business consisted only of Sela and his laptop. But in less than a year, Sela has added more than 100 employees without any recruiting. He's turned that business into a venture-backed startup that counts more physical pizzerias as partners than there are Domino's locations in the US and aims to capture a slice — so to speak — of a $40 billion industry. Sela is Albanian by birth, which is part of the reason he got into the pizza business. Most of Sela's friends and family own and operate pizzerias in the greater New York City area and his grandparents owned a pizzeria in Manhattan in the 70s. Sela himself grew up on Staten Island. After graduating college with a computer science degree and starting his own IT company, he quickly became the go-to tech support for his friends and family's pizza shops. What Slice looks like when you log on. The app remembers your favorite pizzeria and pie or lets you search for new places. "Around 2009 or 2010, I noticed a trend," he said. "They'd come to me and said, ‘Hey Ilir, can you build me a website but can you also do online ordering?’"
Sela began looking into the pizza industry and found out something surprising: It was a billion-dollar industry dominated by independent pizzerias — 60% of the pizza places were mom-and-pop shops — but 90% of online orders were being placed through what Sela calls "Big Pizza": Domino's, Papa John's and Pizza Hut. Sela wanted to level that playing field, so he launched what was then called MyPizza: a website that partnered with independent pizzerias to handle the delivery aspect of their business. Much like Seamless, users could log on to MyPizza and place an order at their local pizza place rather than calling it in. Now, MyPizza is becoming something new: . Sela is hesitant to call Slice a rebrand — he says it's much more than that and encourages throwing out anything you think you knew about MyPizza. The company took the technology behind MyPizza and made a new app and website, which launch Thursday. 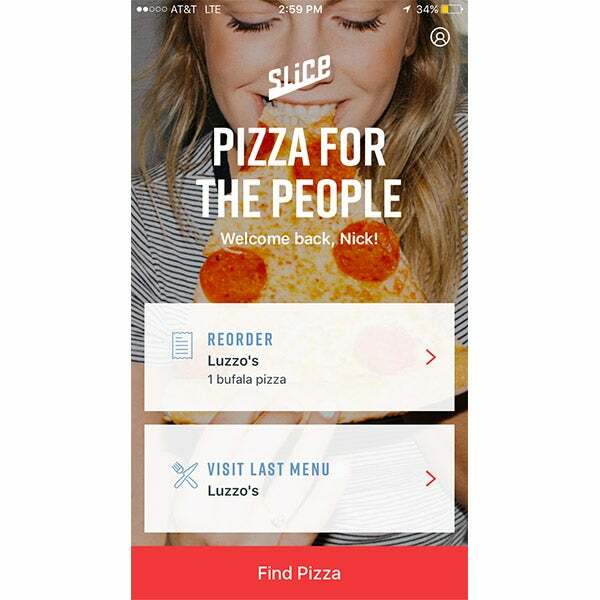 Slice works with 6,000 pizzerias in more than 1,500 US cities and takes a flat fee from the pizzerias it partners with. The company boasts alumni from SinglePlatform among its current employees and the entire founding team of Seamless on its advisory board. The company moved into a new office in Chelsea about two months ago to accommodate its expansion, and closed on a $3 million Series A led by Primary Venture Partners in July. Over time, Sela said he hopes the company can help spur more pizza consumption — something the Slice team does at a group pizza party at least once a week. So what is the pizza connoisseur's favorite pie? "Classic cheese, everyone knows that," he says. "Some people make fun of me, but I think a classic cheese pizza made well is better than anything else you can put on a pizza."